"We remain committed to gaming on console, but we know that we have fans and gamers that also play on PC and phone." Microsoft's upcoming Windows 10 operating system could be the "best operating system we've ever created for gamers on PC," according to Xbox boss Phil Spencer. On the Xbox Wire, Spencer hyped the January 21 Windows 10 event by saying he's really excited to finally get to showcase "the great work that we're doing" in the Windows 10 space as it relates to gaming. "For the Xbox team, this is the beginning of our discussion with fans about the work that we're doing to bring gaming to the Windows 10 operating system," he said. "It's really nice to finally get to be able to talk about this. We'll continue the conversation throughout the year." Microsoft may be investing more seriously into PC gaming, but don't expect this to come at the expense of Xbox One or the company's other console projects. "We remain committed to gaming on console, but we know that we have fans and gamers that also play on PC and phone," Spencer said. "And it's important that we build out the features that we have, learning from what we've done on console, and helping make Windows 10 the best operating system we've ever created for gamers on PCs." The January 21 Windows 10 event, called The Next Chapter, will take place at the company's headquarters in Redmond and will be streamed live at 9 AM PDT. While Microsoft hasn't announced any specific plans for the event, it's possible Microsoft will talk about the operating system's rumored Cortana integration, new Xbox app, or possibly the brand-new browser, Spartan. 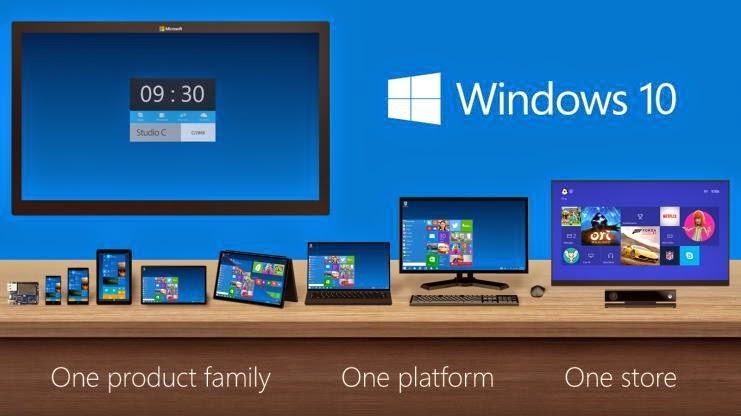 Windows 10 is expected to launch for consumers by the end of the year.